The 24th Bognor Prom 10k road race is set to be a record-breaker on Sunday. 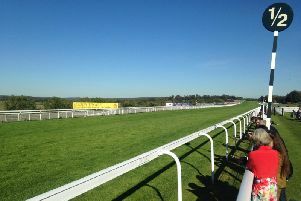 The 10.30am race, for the first time in its 24-year history, has all 1,950 online places taken. With 50 postal entries, it means the entry limit of 2,000 has been reached. The organisation of the race is being fronted by the Bognor-based Tone Zone Runners under the leadership of Judith Bazeley. Glenn Penfold, one of the organisers, said “The majority of our publicity has been through online and social media, along with traditional print which has helped us get a great result. The Prom 10k is one of the biggest events in the town – it brings the community together and raises thousands of pounds for charity. It aims to attract experienced and inexperienced runners alike and makes for a great day for runners, families and friends. We hope the residents of Bognor embrace the event by supporting the runners on the route. Bazeley, race rirector, said “This year we have put out all stops to give runners a great experience and memento by introducing a newly designed and improved medal, as well as a well stocked goody bag to look forward to, and cherish their achievement at the end. The junior fun runs have seen similar improvements of the new medal and goody bags along with spot prizes which organisers hope will encourage young people to enjoy the event, as well as encourage others to want to take part in years to come. While the main race is full, juniors can register for £3 on the day between 8.30am and 9am at their start line for the fun run. Seven to 11-year-olds start at Rock Gardens on the Promenade with 12-14 year olds assembling at the Bandstand, also on the Prom. Bognor town crier Jane Smith will be present. There will be a revamped race village to enhance the experience on the day for runners, families and friends. See www.bognor.co.uk on race day for video of all the starters and a report on the winners, then next week’s Observer for full coverage including a full list of finishers and their times.